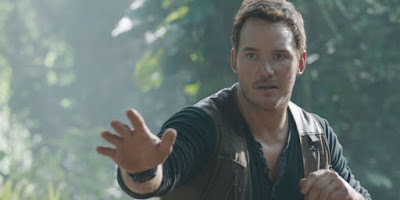 Are you ready for a return to Isla Nublar? Well, you won't be staying long because it's going up in flames. Jurassic World: Fallen Kingdom brings back Chris Pratt and Bryce Dallas Howard for a sequel that finds them racing to get all of the dino life off the island before the whole thing explodes. The new Super Bowl spot is, as expected, super-sized and features more than we've seen so far, including a surprising number of kids in danger from the rampaging creatures. Plus I think we're under-selling just how big of a role Justice Smith is going to have. He's absolutely everywhere in all of the promos we've seen. Jurassic World: Fallen Kingdom opens June 22nd.